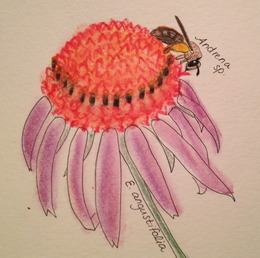 Steph wrote a field guide years ago to help us identify insects that visit Echinacea heads during the summer in Minnesota. It still serves us remarkably well, but hasn’t been posted until now. Here it is! I’ve attached some goodies for everyone today, which are strategically placed at the end of this post. I am heading back to California on Tuesday and this will be my last flog post. I am go grateful to have been given this opportunity and I will miss lovely meals, Gretel’s chocolate cake, and all of the wonderful people I’ve met. I could list many other things that I will miss, but I suspect everyone is anxious to get to the sweeter section of this post. 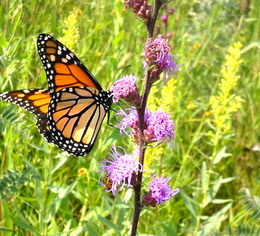 PLUS HERE IS A PICTURE OF A MONARCH!!! I hope everyone enjoys their summer and I’m excited to see what happens in the months and years to come! I can’t believe how quickly the past eight weeks have passed. 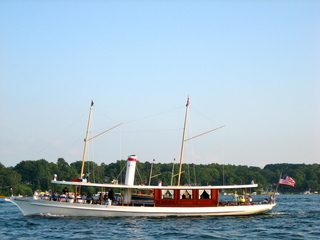 Both my fellow Team Echinacea crewmembers and I have had great successes with our group and individual projects. In exciting individual project news, Keaton and I have finished collecting observation data for my pollinator efficiency project! We were able to record over 175 visits, more than triple the number recorded last year. The work isn’t over yet though, as we still have to re-watch and re-name files for over 175 visits and analyze a (beautiful and majestic) mountain of data. All though we still need to climb a few more pitches on data mountain before we can say with certainty, it appears as though long visits by Andrena do not necessarily result in more shriveled styles. Based on field observations, we believe this is because Andrena bees normally spend longer on the first heads they visit when their pollen baskets are un-filled with the compatible pollen required to cause style shriveling. The ideal visit duration seems to be 2-5 minutes for Andrena. Well I better put my harness on and get back to climbing. The peak is in sight, but it will take some real finger strength and mental fortitude to reach it. Puppies, Proposals, and Palette-pleasing Plates! The small town of Kensington received five new adorable puppies last week. 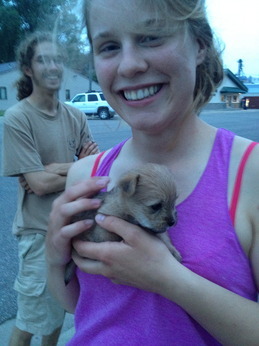 After some sleuthing and chatting with the friendly locals, team Echinacea received the chance for some much needed puppy playtime. But what’s more exciting than puppies? Proposals and updated procedures! Attached to this post you will find team pollinator’s original proposal as well as an updated procedure and an updated datasheet. The past three weeks have flown by and we have already conducted observations on 175 heads! This means that we are only 25 heads short of our goal just in time for the end of flowering. It is also amazing how much we have learned and how much we have had to change our procedure. I hope that someone will pick up this project next summer and this updated information will help them to avoid some of the problems we’ve encountered. 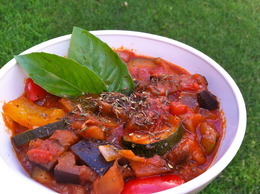 In other exciting news, tonight I cooked Ratatouille for the team. Thank you Gretel and the Wagenius garden for the delicious basil! My favorite French dish + my favorite people = the perfect end to a relaxing Sunday. The field season is heating up for Team Echinacea both literally and metaphorically. Much of the metaphorical heat comes from the awesome work everyone has been putting into group and independent projects. However, a small portion of this heat also comes from a budding relationship between Andrea and I that was sparked at experimental plot 2 a week ago. On my day off, I missed her so much I simply had to draw a picture of her. Why is Andrea so special to me? One important reason is that she is an Andrena bee and Andrena seem to be the most efficient pollinators of Echinacea angustifolia based on our preliminary findings. Another reason is that she is absolutely adorable and very photogenic. Aside from missing Andrea, I also made dinner for the team. 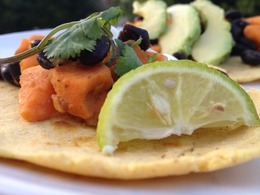 I decided on sweet potato black bean tacos with homemade tortillas. Mmmm…..
With Echinacea’s flowering reaching its peak, there isn’t a better idiom to describe the team’s work schedule for the week. Remnant phenology, independent projects, and a large scale compatibility project are just a few of the tasks being carried out on a regular basis. As for the pollinator project Maureen and I have been working on, things are going great. After alternating back and forth between P1 and P2, we have accumulated over 60 observations, which is a little over half of what we are aiming for. Towards the beginning, we saw mostly small green bees, but recently we have started seeing more and more of the larger bees, such as Melisodes and Andrena. For example, we added 7 more Andrena observations just today, which more than tripled the Andrena observations we had up to this point. Things may be a little hectic at Team Echinacea headquarters, but this doesn’t mean we are all work and no play. Just tonight we enjoyed a post work bonfire with s’mores, badminton, and croquet. You might even say it was the…… bee’s knees! And just in case this post didn’t contain enough corny pollinator references, here’s a couple of pictures of a pair of Melisodes teaching us a lesson about the Birds and the Bees. Hey Everyone! Here is my final conglomerated data (mine, Andrew’s and Katie’s). As well as my excel file with all the extra information. I will also be posting it in my dropbox as well. Hello everyone! I am Kory Kolis and am from Eau Claire Wisconsin. I am a Junior at Gustavus Adolphus College in St. Peter Minnesota (about an hour southwest of the twin cities). I am a biology and studio art double major. Last summer I was doing biochemistry research at Gustavus examining the four proteins that make up the kinetochore of Saccharomyces cerevisiae. I am very excited to be a part of Team Echinacea this summer, and for the opportunity to work outside! Woot! This summer I plan on continuing the research done by Katie Koch and Andrew Kaul. 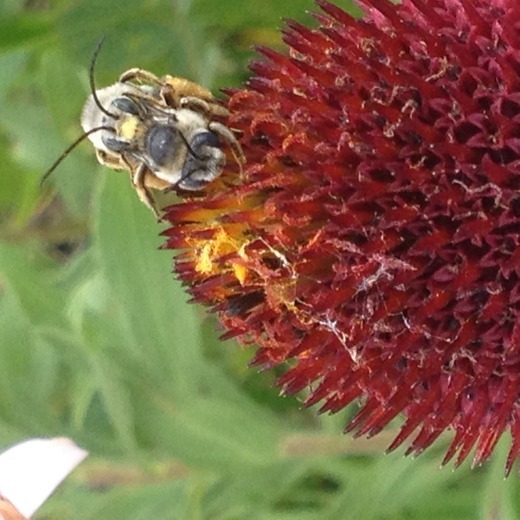 I will be looking at the efficiency of pollinators on the Echinacea angustifolia. By doing my observations in Jennifer Ison’s common garden I hope to be able to be able to trace the pollen back to the parent plant, allowing me to see if there are any relationships between distance from the two plants and pollinator. If you would like to see the link of me on the Echinacea Project home page click here. On July 27th I spoke at the Garden Club of America Zone 11 Annual Meeting in Lake Geneva. I was there for less than 48hrs, but I still had a wonderful time. I received the GCA’s Fellowship in Ecological Restoration to support my Master’s project, which is why I was asked to attend at all. I was pretty nervous about the speech, but in the end I think it went pretty well. They were a great audience and after this experience I feel much more confident about public speaking. 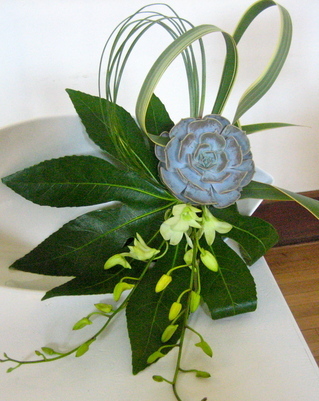 After I gave my talk, I was able go see the GCA flower show, which was really interesting. There were some pretty cool displays. I especially like the hats made of flowers, the miniatures, and the photography. They also had these challenge events where everyone was given the same supplies and theme and had a fixed amount of time to create a display. The GCA has some very creative members. That evening we were given a tour of the lake on a boat called the Louise, where we had h’ors d’oeuvres and cocktails. The boat dropped us off at a GCA member’s house for dinner. It was a lot of fun! The next day I got to hear Kathryn Kennedy, the president of the Center for Plant Conservation, speak. She gave an excellent talk about endangered species and the challenges we face in protecting these high-risk plants in the coming decades. I was totally revved afterwords, so she did her job. After I got back from Wisconsin, I had to turn around and finish working on the poster for the ESA conference. After much work, and help from Stuart, Amy, and Josh, I finally finished the poster. I drove to St. Cloud to print both the FNC poster and Allegra’s poster, and then on Sunday Stuart and I went to the ESA conference in Pittsburgh. Mimi, the REU intern from last year, was able to join us for the conference on Monday. It was great to see her again. She’s currently working at Frick park as a Outdoorsy type summer camp counselor. She’ll be leaving in September to teach English in Guadalupe. Should be fun! Mimi and I got a lot of great feedback on our poster during the poster session, and I’m pretty confident that with everyone’s help we can write an interesting paper. 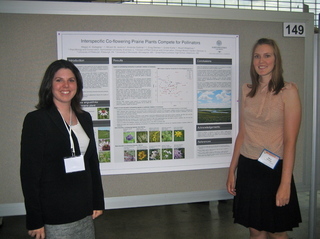 The poster is entitled: Interspecific Co-flowering Prairie Plants Compete for Pollinators. Pollen limitation is prevalent in many species, and can be especially worrisome in fragmented landscapes. Reproduction in the purple coneflower, Echinacea angustifolia (Asteraceae), which grows in small remnant patches of tallgrass prairie in North America, is pollen limited, but not pollinator limited. Pollen limitation of Echinacea increases with isolation of individual plants, decreases with size of population, and has a strong negative impact on reproduction. However, pollinator visitation does not explain the reduced reproductive success. 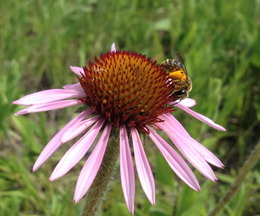 Wagenius and Lyon (2010), found that plants in the densest and largest populations of Echinacea receive fewer pollinator visits yet have greater reproductive success than plants in small isolated populations, which receive more visits but have decreased reproductive success. Among the many prairie plants pollinated by native solitary generalist bees, interspecific co-flowering plants may either enhance pollination by attracting more pollinators, or reduce reproductive success through competition or interference with compatible pollen receipt (Feldman 2008, Mitchell et al 2009). We investigated the community of co-flowering species surrounding a plant (floral neighborhood). We measured the effect of floral neighborhood on pollinator visitation, pollinator diversity, and pollination success of Echinacea. We randomly selected 8 focal plants at each of 10 remnant prairie sites in Douglas Co., Minnesota and observed and collected insect pollinators four times during summer 2009. We also identified and counted inflorescences of nearby co-flowering species. We found strong evidence that floral neighborhood composition influences pollinator visitation of Echinacea. Forty species co-flowered with Echinacea, nine of which are invasive. Co-flowering species richness ranged from 14 in the largest remnant to five in the smallest. Alfalfa, Medicago sativa (Fabaceae), the most abundant exotic co-flowering species, occurred at seven of the sites, while leadplant, Amorpha canescens (Fabaceae), the most abundant native species (besides Echinacea), was only found at three remnants. The presence of alfalfa within a focal plant’s floral neighborhood increased the probability of a pollinator visit by 7% (according to a glm with binomial response p<0.03). In contrast, native leadplant decreased pollinator visits by 9% (p<0.02). There is no evidence that alfalfa, leadplant, and Echinacea interact in their effect on pollinator visits. We also collected pollen from Echinacea insect pollinators and flower parts to see if patterns in floral neighborhood composition and pollinator visitation are reflected in pollen loads on pollinators or stigmas. Neither the community of co-flowering species nor the presence of non-native plants was associated with variation in pollinator visitation. Co-flowering species diversity was a predictor of pollinator visitation only late in the flowering season. Floral communities, as quantified by NMS analysis, were associated with the presence of non-natives all season long and overall diversity only in the early season. NMS characterizations of species co-flowering with Echinacea did not predict pollinator visitation at any time. Echinacea neighborhoods with Amorpha, a native, had lower pollinator visitation, while the neighborhoods with Medicago, a non-native, had higher pollinator visitation. 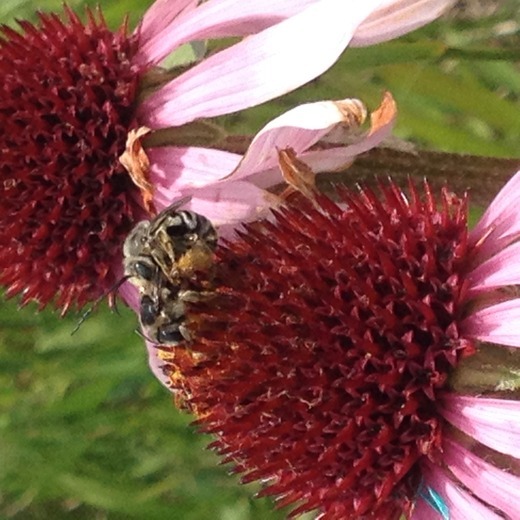 We found no compelling evidence that interspecific co-flowering species influence pollinator visitation to Echinacea in small prairie remnants. The previously observed high pollinator visitation and concurrent pollen limitation might result from low quality of pollinator visits, an hypothesis we are now investigating. Now that I’m back in Kensington, it’s time to get back to my master’s project. The work is never done! This week I’m hoping to do seedling checks for my three plots. Hope I can count on lots of help getting it done!